ENEMY WANTED. Serious enemy needed to justify Pentagon budget increase. Defense contractors desperate. Interested enemies send letter and video (threatening okay) to Enemy Search Committee, C/O Ben Cohen, Burlington, VT 05401. A couple weeks before 9/11, you may have seen this job posting in the newspaper. At the time, our politicians couldnt find a credible enemy to justify spending billions on new submarines and jets that would be perfect for fighting the collapsed Soviet Union, but would be otherwise useless. Where was the enemy requiring the Pentagon to upgrade its fleet of stealth aircraft  already the worlds best by far? Tough-looking trading partners like China didnt make the enemy cut. North Korea was even going diplomatic. Defense contractors were worried. So, I wanted to find an enemy that our lawmakers could use to justify increasing the huge military budget without looking like complete fools or crooks  which is what they looked like at the time. But my enemy search wasnt going well. No enemy was mean enough for the job and the giant budget. Then the World Trade Center was attacked. Suddenly, our nation was focused on terrorists, seemingly a perfect fit for my enemy job posting. And, sure enough, in the wake of 9/11 our politicians not only stood proudly behind the mammoth Pentagon budget but rushed to throw even more money at the military  about $40 billion in $20 billion chunks. But as the stock of defense contractors began to soar, people quickly began to wonder what was really going on. Were politicians using the endless war on terrorism to provide a direct feeding tube from the U.S. Treasury to the bank accounts of special interests, who finance their campaigns? Even Lawrence Korb, a top defense official under Ronald Reagan, says were spending tens of billions of dollars on new submarines, planes and tanks that will be just as useless at fighting terrorists as our current high-tech wonders. Korb says that the Pentagon has more than enough money to fight terrorism  even if its budget were trimmed by 15 percent or more. In other words, the Pentagon needs to be smarter, not fatter. Why does the Defense Department need $400 billion to fight enemies armed with $5 box cutters? For perspective, Bushs much-hyped axis-of-evil nations  Iran, Iraq and North Korea  spend $12 billion annually on their militaries combined. Iraq spends less than $2 billion. Furthermore, most of us understand that a rational response to terrorism should focus on much more than the military. We need to fight poverty abroad and at home, reduce the debts of impoverished nations, achieve energy independence, and create a more just and compassionate world. This broader approach to fighting terrorism recognizes that our own nations security depends on the security of the planet. And the problem is, we are not spending enough on the stuff required to make our planet more secure in the long term. While the administration wants to spend $400 billion on the Pentagon, America would spend only $10 billion on foreign aid, $8 billion on the entire EPA, $4 billion on the Centers for Disease Control, and less than $1 billion on refugee programs and the Peace Corps. And, though 9/11 changed many things in America, our public schools are still crumbling and millions of our kids still need health insurance. So, with all the basic unmet needs weve got in our own country  and with all that we should do abroad in the name of human and planetary decency  retired Vice Admiral Jack Shanahan, former CIA Director Stansfield Turner and other military experts cannot figure out why the administration proposes to spend more than $1 billion per day on the Pentagon. This is enough money to make countless dreams come true at home and abroad. Our rich nation has the potential to do so much good in the world. Terrorism, horrible for sure, is not an enemy that requires the military buildup that we are witnessing in our nation. So, I still think America lacks an enemy that justifies the Pentagon budget. Our politicians need help, or they are going to start to look really stupid. My enemy search continues. Let me know if you have any killer ideas. 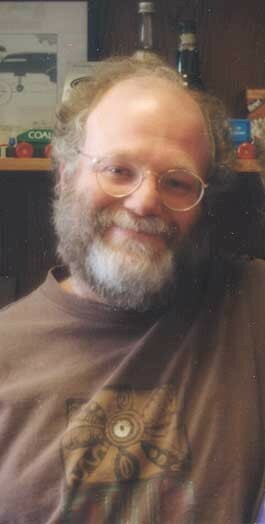 Ben Cohen is co-founder of Ben and Jerrys. Join Ben in putting an end to the insanity in Washington, D.C. Write him at info@truemajority.com.